Welcome to a day in our home school. I don't know where or how the tradition started but we always wake up and enjoy a cup of tea together. It's something we did as a family before the children joined us and once they were about four months old they joined us for a wake up cup of tea. It's what we do to start off our day. Very few days go by without a morning cup of tea. Somehow it does not feel complete unless we have sat together in the lounge before Paul leaves before work. These day's it's just the three of us as Jane is currently enjoying a year overseas working and exploring the U.K. at the moment and Timothy has a slightly different schedule to us. As I share our day with you I would leave one word of caution. Never try to make a carbon copy of another families normal day. Every home schooling family is unique and therefore so should their day be unique. The Schoolhouse Review Crew would like to welcome you into their homes this week as they share their unique and individual days with you. Paul works a slightly unique roster meaning that our daily rhythm is slightly different every week. On a work day he leaves for work at around 7:30 am. Once he leaves it's time for breakfast, bed making, getting dressed for the day and morning chores. These are normally things like unpacking the dishwasher and either starting the clothes washer or hanging the already washed clothing. Once these are complete it's time to begin with our school work. We start our reading list with bible study and encouraging books. We then read some more and explore different subjects. If Nathaniel asks a question while we are reading we will take some time and look for the answer. We also do word studies while we are reading. Little Pilgrim's Progress has given us plenty of opportunities to expand our vocabulary recently. Our currently read aloud for fun is The Trumpet of the Swan by E.B.White. This is such a beautifully written story. This year I am adding in poetry reading. We are not studying poetry but rather just taking the time to read it as part of our day. We are using Favorite Poems of Childhood. My all time favourite composer study series is from Zeezok publishing and we are currently reading their book on the life of Joseph Haydn - The Merry Little Peasant. We take a small break and then it is time for music practice followed by morning tea. Some days we choose to watch documentaries on Netflix or we take one off our DVD shelf. Yesterday we looked up a few YouTube clips about the ancient Chinese practice of foot binding. By now it's usually lunch time and time for more chores. Next it's time to get out all the pencils and practice the rest of the Three R's. It's time writing and arithmetic. Most afternoons we have something happening. Some days it's art co-op and on others it's fellowship etc. Homeschooling an only has stretched me in ways I never thought possible and it's a blessing in the most amazing ways as well. Asperger's Syndrome frustrates us both some days and on other days it's brought about much laughter. Every day is different and yet somehow the same. Homeschooling has been one of life surprises and it's biggest blessing. I'm grateful for each new day I get to be this boys Mom and friend. I get to be there for every amazing adventure and new discovery. His passion at the moment is movie making and through this I am learning how God has made this miracle gift to me in His image and not mine. Thank you for sharing our day with us. I endevour to share our days / week each week on a Saturday via The Homeschool Mother's Journal and daily on Instagram (@Chareenr). You can see what our favourite books are and hands on projects we have been up to as well as the places we explore on our Field Trips. 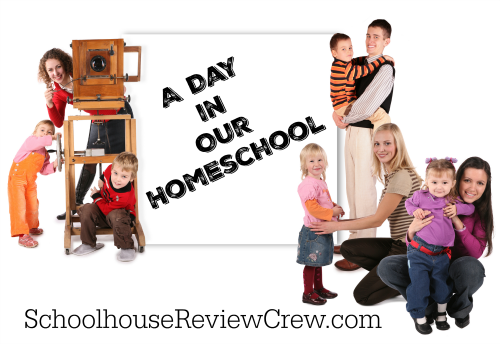 This post is part of the Schoolhouse Review Crew blog Hop A Day in Our Homeschool. 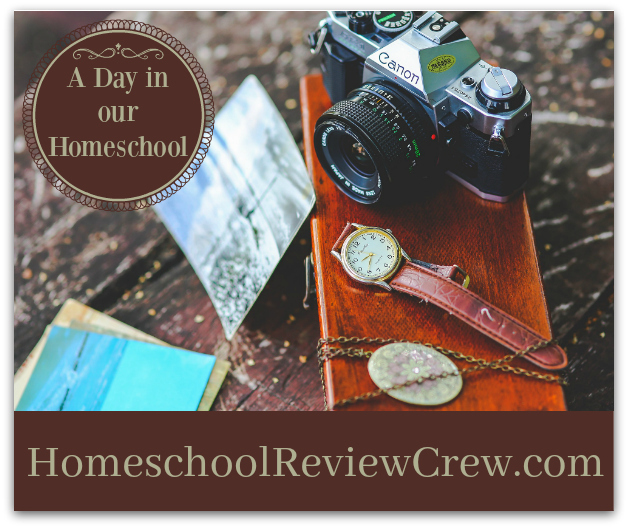 Be sure to check out what my homeschooling friends days look like. What a lovely day. We love tea first thing in the morning too. Just wondering what age your child is? I have an only. He will be 10 soon. Thanks!